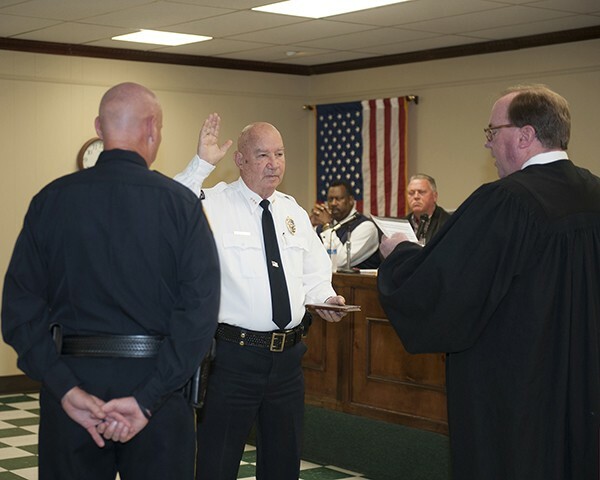 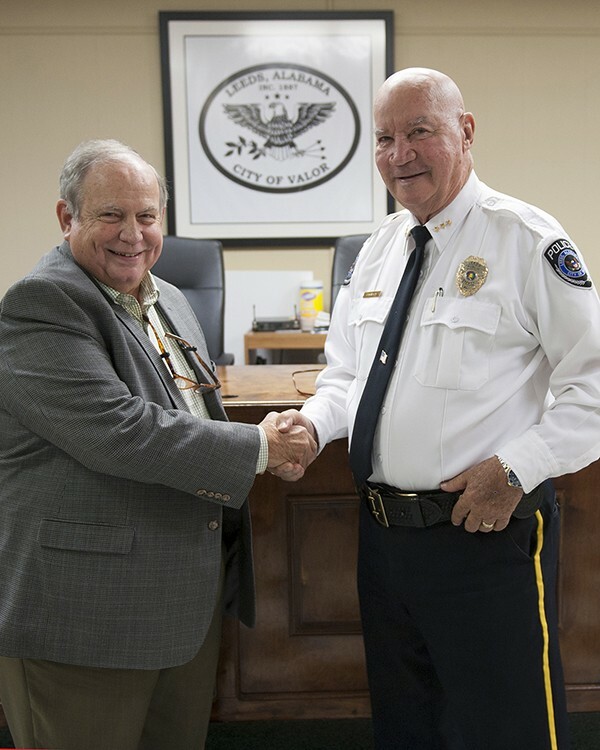 Leeds Swears in New Police Chief Jim Atkinson | The City of Leeds conducted a Swearing-In Ceremony for Police Chief Jim Atkinson at the City Council meeting tonight at Leeds Civic Center Meeting Room. 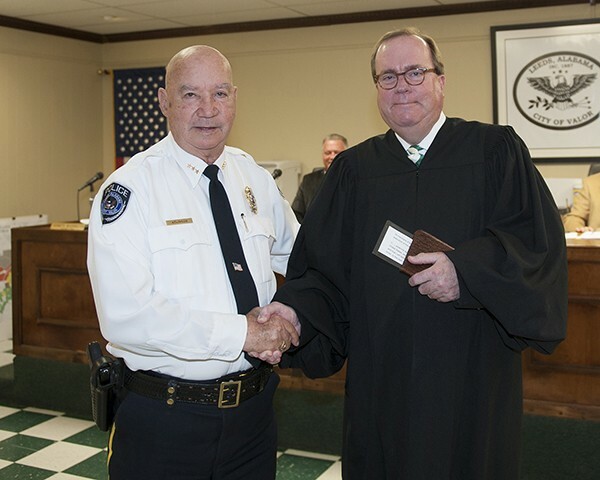 The swearing in was conducted by city Judge Cliff Price. 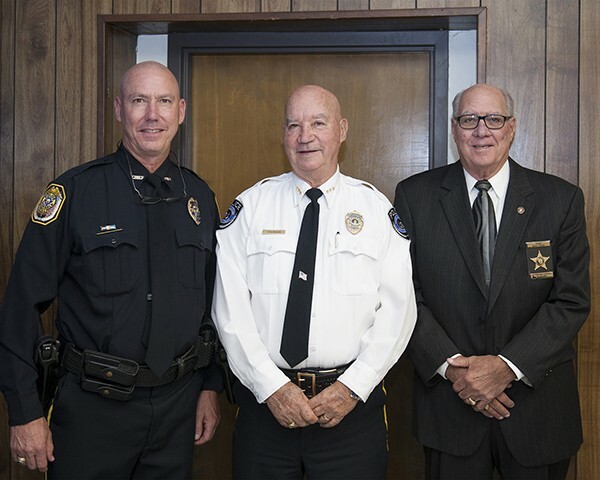 Standing in with Chief Atkinson for the swearing-in ceremony was Chief’s son, Ken Atkinson who is the Irondale Police Chief. 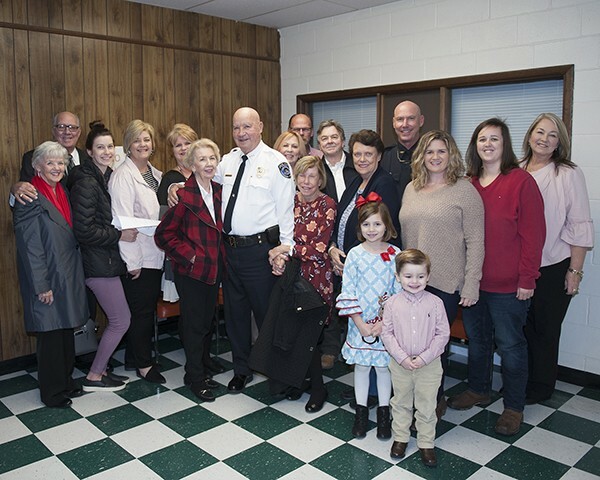 Many family members and friends attended in support of our new Chief including his wife, son, sister and Homewood Police Chief Paul Costa. 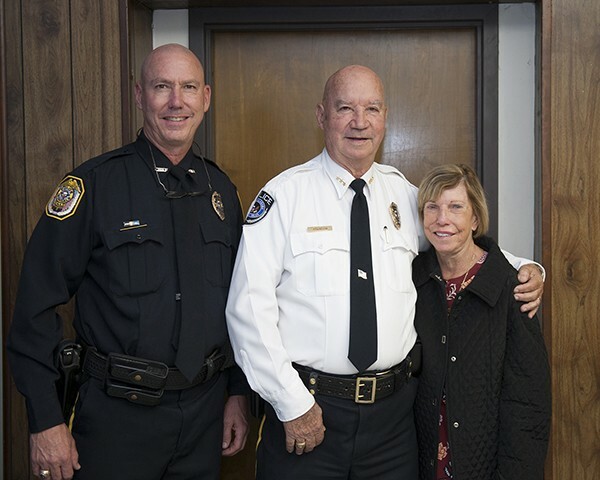 We are excited about the leadership that Chief Atkinson brings to Leeds Police Department and congratulate him on this position.